Now you can setup your network unlocking business on cruise control with RepairDesk. 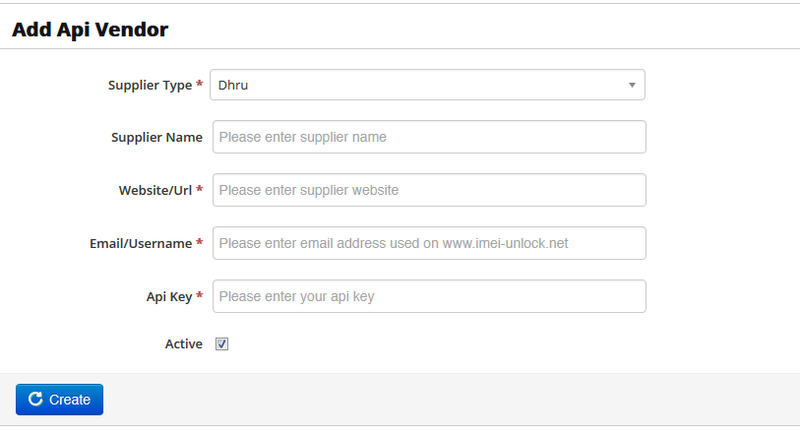 In order to enable DHRU Fusion API so RepairDesk can automatically process your network unlock request, please login to your supplier website and find your API key. 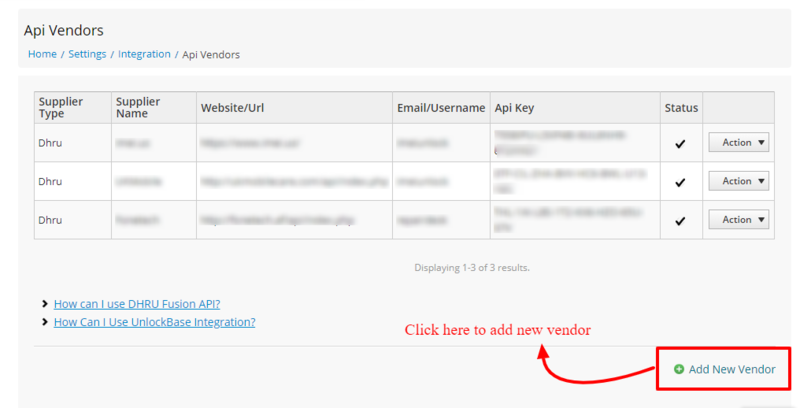 Fill in the details, click "Create" and the DHRU Vendor will be added. Once you have successfully added supplier details and it start showing credits info on the configuration page the next step is MAP product that is listed under unlock tab with your supplier. 1- Set API status as "Enabled"
2- Select supplier from the dropdown. 3- Select network from the dropdown. If you are unable to view network list it means your API is not setup properly. Once you've made recommended changes hit "Save"
Now when a ticket or an invoice is created for a network unlock, RepairDesk will automatically send your IMEI and network information to a supplier. Once your supplier mark it as successful, customer will automatically receive an email with instructions on next steps.